Five students from Bethlehem University have achieved the first place as the Middle East and Africa regional winners of Google+ Social Media Marketing Award- Google Online Marketing Challenge 2013, which is organized by Google International Corporation. Although thousands of university students worldwide participated in the challenge, the Palestinian team was able, under the supervision of Ms. NadiraAlaraj, to achieve this advanced place in the competition. Thus, revealing the name of Bethlehem University, in specific, and the name of Palestine as the number one regional winners for the third year in a row. Ms. NadiraAlaraj describes her experience with GOMC as the following: "GOMC is a great opportunity to have the balance between the theoretical marketing concepts given in classes and experiencing those concepts in a real life setting with real clients. In addition, having participated in the program for three consecutive years, the GOMC process proved to have a positive effect on enhancing the students' life skills from Interpersonal skills, team building and their abilities to learn beyond the textbook." The team's promotional project benefits the Women Media and Development Organization (TAM), Beit Jala; which seeks to change the traditional image of women and enhance their involvement in media. 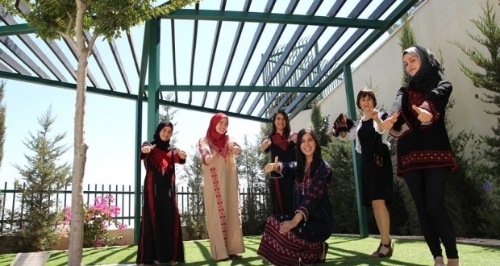 Hind Abu Shkhadim, team leader, commented: "The achievement of these 5 Palestinian ladies and their female teacher proves that Palestinian women are great and they can make a difference". Ala' Suboh, a graduate from Bethlehem University says," GOMC was a very useful and enjoyable experience; whether the preparation stages, the reports' writing, the teamwork, or the fact that we have been learning from each other. All these things and others have made this experience one of the best ever". While Margaret Al Sous from Beit-Jala describes her experience as follows: "The knowledge and experience I gained from GOMC are beyond expectations. I started to think differently, more creatively, and beyond traditional ways. Moreover, being challenged by a goal to be achieved and a deadline to be met, as well as working with a great team, is what made this a more memorable experience." Lina Sleibi from Bethlehem is also one of the team members who describes her experience by saying: "My experience was a very unique and enjoyable one. It was both a tremendous challenge and successful task. I gained a lot of skills, acquired a lot of knowledge and learned how to overcome difficulties. I hope this success will lead to many more successes in the future. 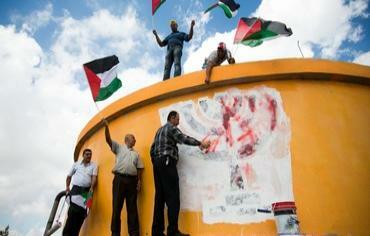 Moreover, having a goal is what keeps you going, and we, as Palestinians, can always be creative in our own ways." Finally Laila Elzoghier from Battir, a suburb of Bethlehem, describes GOMC as "a unique experience; because first, the idea of working at an international level encouraged us as a team to put all our effort to do our best. Second, we, as a team, benefited from our work with TAM, which is helping women and marginalized people, in such a way that aided us to keep going and achieve as much as possible." 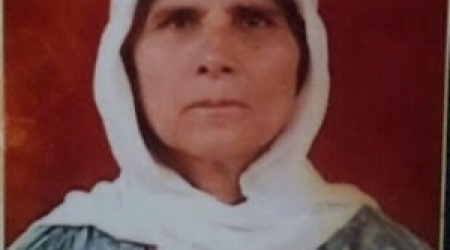 A Palestinian, and a former prisoner woman aged 80 years died in Jordan on Saturday evening. Maryam Abdallah Abu Jalgoum, from Faqu’a village east of Jenin, is the first Palestinian woman prisoner. She went to visit her son in Jordan where she died. She was arrested by the Israeli occupation with all of her family in 1970, according to Ahrar Center for Prisoners Studies. Palestine joined the Euro-Med Youth Network during its 25th conference held in Lucca under the auspices of the European Union with the participation of the network members of youth NGOs. The network of NGOs includes Lebanon, Tunisia , Algeria, Morocco , Italy, France, Malta, and Belgium. 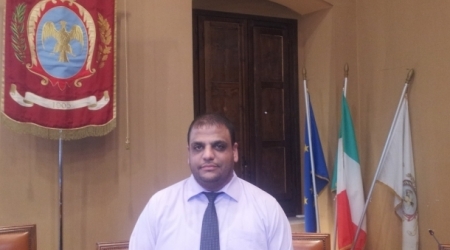 Moayyed Afaneh, Palestine representative in the network stressed the political and practical significance of involving Palestine as a member in the Euro-Med network. At the political level membership of Palestine signals the world recognition of Palestine as an independent state enjoying political independence and the rights to join international networks. At the practical level, it represents an opportunity for Palestinian youth to engage in researches about youth work in order to develop a process of exchange, mutual cooperation and joint actions between the fields of youth research, youth work and youth policy development in the broader Euro-Med context. Hamas movement held the Ramallah government and the PA's leaders and security services full responsibility for the aggression on the Palestinians in occupied West Bank. Hamas called on the Palestinian Authority to release the resistance in the occupied West Bank and to stop once and for all chasing the Palestinian resistance fighters and leaders so that they can defend and protect their land and holy sites. Fawzi Barhoum, Hamas spokesman, hailed in a press statement on Sunday, the people of the West Bank for their resistance operations that are targeting the Israeli soldiers in response to the occupation's violent and terrorist practices against the Palestinian people, land and holy sites. Barhoum strongly denounced the Authority's dangerous and persistent campaign in the West Bank, which has recently targeted Jenin and its refugee camp, and pointed out that the PA's apparatuses are chasing and attacking the resistance fighters and Palestinian icons in coordination with the occupation forces. The Palestinian government in Gaza also called on the Ramallah authority to start adopting a national program based on unity and liberation. Media Advisor to the Prime Minister Taher al-Nunu said in a statement published on his Facebook page on Sunday: "The security crackdown in the Jenin must stop", and he called for halting security coordination with Israel. Ezzat Resheq, member of the political bureau of Hamas, denied any change in the relationship with Qatar, stressing that Qatar provides Hamas with all facilities it needs. Resheq denied the fabricated stories published by some media about restricting the movement of Hamas leaders in Qatar, and said "We enjoy full freedom to work and move. Our relationship with the Emir of Qatar is very close, and those fabrications aim to harm Hamas and Qatar." He stressed that the negotiations with the Israeli enemy form cover for the Israeli crimes and plans against the Palestinian land and holy sites and the attempts to Judaize them. The Palestinian leader called for ending the internal division in the Palestinian arena, and strengthening the internal front to confront the Judaization of Jerusalem and Al-Aqsa. He noted that the Aqsa Mosque is facing an unprecedented danger, as the Judaization steps have accelerated, and called on the nation to assume its responsibilities and defend the Aqsa. 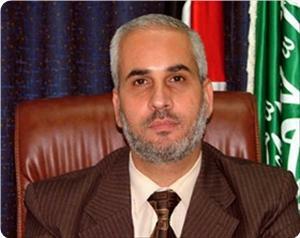 Regarding the relations with Egypt, member of the political bureau of Hamas, said contacts still exist between Hamas and the Egyptian Authorities, and denounced the campaign of incitement against the Gaza Strip, the resistance and the Palestinian people. Resheq also dealt with the unjust blockade imposed on Gaza and said: "We are facing a major humanitarian disaster in the Gaza Strip," and stressed that the siege represents a crime against the Palestinian people. Taher Al-Nunu, the Gaza government’s spokesman, has denied an alleged statement for premier Ismail Haneyya that PA chief Mahmoud Abbas would visit Gaza Strip soon. Nunu said in a terse statement on Saturday that such news were not true, and asked the media to be more accurate in reporting news. He added, however, that Haneyya was keen on restoring unity and ending the division. Delegations from Hamas in Lebanon met with Beirut Maronite Bishop Boulos Matar, Palestinian Ambassador to Lebanon Ashraf Dabour and the leadership of Fatah - the Intifada. A Hamas delegation headed by Raafat Marra, member of the political leadership of the movement and Lebanon relations official, visited Bishop Boulos Matar at the Maronite Archdiocese of Beirut. The delegation reviewed the ongoing Israeli attacks on the city of Jerusalem, the Palestinians and the Islamic and Christian holy sites. For his part, bishop Matar stressed his support to the Palestinian cause and emphasized the Palestinians' right to defend themselves against the injustice. Another Hamas delegation headed by the movement's representative in Lebanon Ali Baraka visited the Palestinian Ambassador to Lebanon Ashraf Dabour, in the headquarters of the embassy in Beirut. At the end of the meeting, a statement was issued stressing "the importance of the Palestinian cause, despite all the changes and the surrounding circumstances." It also called for supporting the steadfastness of the Palestinian people at home and abroad, and unifying the Palestinian people in light of ongoing events in the region. The meeting also stressed "the need to defend Jerusalem, the Aqsa Mosque, the Ibrahimi Mosque, and the Christian holy sites in face of the Israeli aggressions". Both sides called for sparing the Palestinians in Lebanon the country's internal conflict, and supporting the demands of the residents of Nahr al-Bared refugee camp. Finally, a Hamas delegation also headed by Ali Baraka visited the headquarters of Fatah - al-Intifada in the Lebanese capital Beirut, and met with member of its Central Committee Hassan Zeidan and a number of leaders. The attendees affirmed adherence to the option of resistance against Israeli occupation until the achievement of the objectives of the people in liberation, independence and right of return. 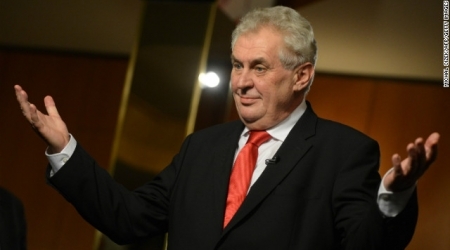 A Palestinian leader has hit out a suggestion by the Czech president, Miloš Zeman, that the Czech embassy in pre-1948 Palestine should be moved from Tel Aviv to Jerusalem. A Czech radio reported Friday that chief Palestinian negotiator Saeb Erekat said "the proposal interfered with the peace process between Israel and the Palestinians and wrecked efforts to reach an agreement. Mr. Erekat called for the Arab League and other organisations to convene a special session to discuss the matter. Mr. Zeman put the idea forward at a festival of Israeli culture in the Czech city of Hradec Králové on Monday, according to the radio report. No countries have embassies in occupied Jerusalem as the status of the city is a key issue in the conflict has yet to be defined. The source added that President Zeman, who is known for his support of Israel, is to begin a state visit to (Israel) on Sunday. The Russian ambassador to the state of Palestine, Alexander Rudakov, spoke to Palestinian intellectuals and politicians on Thursday, about Russia’s hope for increasing its presence in the said that Middle East generally, and Palestine specifically. Russia’s support of the Palestinian state is in accordance with the its vision of reinforcing international legitimacy resolutions and leveling international power dynamics. Russian President Vladimir Putin’s policy seeks to ease tensions in the Middle East region through establishing the stability and unity of the lands. Rudakov added that the Russia hopes to convert the Middle East into a stable zone. Recently, Russia has played an important and central role in the Middle East, especially regarding the Syrian crisis. Moscow halted Washington’s efforts to invade & attack the Syrian regime. The Russian decision to stop the American war on Syria is part of Russia’s central policy of diminishing American hegemony. He went on to criticize Washington’s policies of military interference in the Arab world. The discussion session which was organized by the Imperial Orthodox Palestine Society in the Holy Land was commenced with a welcoming words by the chairman Daoud Maattar. 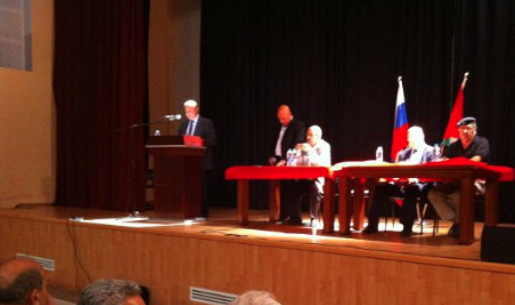 He welcomed the Russian ambassador and the audience , saying that his society plays an important role in reinforcing relations between Russia and Palestine in the fields of culture, literature and politics. Rudakov said that his country supports the Palestinian-Israeli peace negotiations, and that Russia stands with the international Quartet in establishing a Palestinian state according to UN resolutions and 1967 borders. He stressed that Russia has contributed to convincing many countries to recognize Palestine, and Russia will continue to work on strengthening the political weight of the negotiations, through the support of projects and partnerships, including a new shopping mall and sports center in Bethlehem and Russian language classes so that Palestinians are able to complete their higher education in Russia. Mattar added that the organization will organize trips from Russia to Palestine. At the end of the session, the audience of intellectuals, writers and Palestinian politicians engaged in a discussion. 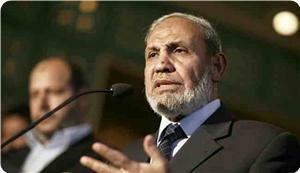 The Palestinian MP and member of the political bureau of Hamas Dr. Mahmoud al-Zahar denied that his movement is suffering during the current period from severe financial crisis. 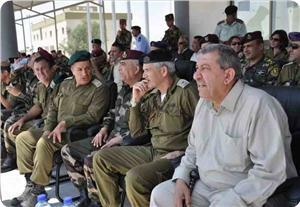 His statements came during a political meeting organized by the Ministry of Interior with the participation of over 1,000 of its officers, in Khan Younis in the southern Gaza Strip. 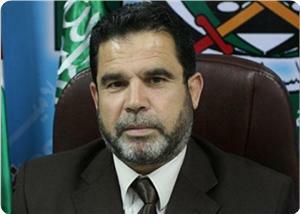 Zahar stressed that Hamas will never give up the resistance project and will not allow anyone to disrupt it. He stressed that the liberation of Palestine is "crucial and indisputable", and pointed out that during the past six years Hamas fought four wars with Israel and has never been defeated. Regarding the reconciliation file, the MP pointed out that the reconciliation can only be achieved after the completion of five essential terms; including the formation of the interim government and the organization of the legislative and presidential elections as well as the elections of the National Assembly. According to some reports, the activities of normalization with Israel have significantly escalated in different fields, under the auspices of leaders of the Palestinian Authority and Fatah movement. The Palestinian National Committee for the Boycott, Divestment and Sanctions against Israel (BDS) condemned in a statement on Thursday the participation of Palestinian officials in meetings and projects with the occupation. Anti-normalization activist, Ashraf Awad, told PIC's correspondent: "in recent months, we have monitored a remarkable growth in the activities of normalization that included political meetings with the Israeli party leaders, and parliamentary meetings between parliamentarians from Fatah and their counterparts from the Knesset." He added that the last of these meetings was held in Budapest mid-August with the participation of five Jewish parliamentarians, and Palestinian figures, including an MP. BDS in its report also condemned "the Third Conference on the Middle East for the enforcement of the law," which was organized by the leadership of the Palestinian police for three days in Jericho with the participation of the Director of the Israeli police and a number of Israeli and American departmental directors and officers. It described this conference as a dangerous precedent, adding that such meetings enhance the security coordination approach, which has provided cover for the occupation’s ongoing aggression against the people. For her part, the activist Mona al-Tawil told PIC's correspondent that the activities of normalization are part of the political corruption and harm the Palestinian cause and the boycott campaigns in the world. Palestinian farmers in the northern West Bank returned Thursday to their land for the first time in almost 40 years, according to The Jerusalem Post, and began to plant olive trees. The area used to have an illegal Israeli settlement, Homesh, which was one of 4 settlements in the northern West Bank to be destroyed in the 2005 disengagement. In June, Israel canceled the 1978 military land seizure that had allowed the illegal settlement to be built, and in September the Attorney-General’s Office ruled that the area was no longer closed to Palestinians. Israelis are forbidden entrance to the site, according Israeli human rights organization Yesh Din which filed in 2010 the petition on behalf of Palestinians from Burka, a nearby village, that led the state to rescind the 1978 military order. Palestinians entered the area Thursday and started planting olive trees while waving Palestinian flags, according to Yesh Din spokeswoman Reut Mor, whose volunteer organization accompanied the farmers. 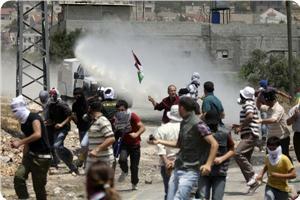 Mor said Thursday’s action was only the first of many days in which Palestinians will work the land. Israeli settlers have returned to Homesh consistently since its destruction in 2005 to hold festivals and events, during which they called on the Israeli state to allow them to rebuild. The ruins of three other illegal settlements, Sanur, Ganim and Kadim, which were all destroyed in 2005, are closed military zones. It is worth mentioning that Yesh Din filed this week a petition for Israel to rescind the 1979 military order that allowed a plot of private Palestinian land to be included in the illegal settlement Beit El, which was built in 1970. The petition was filed on behalf of Ahmad Abd al-Rahman Qassam, the Palestinian landowner from the nearby village Dura al-Kara, who has already been battling in court to abort the construction of five buildings on his land. The illegal construction has already begun. 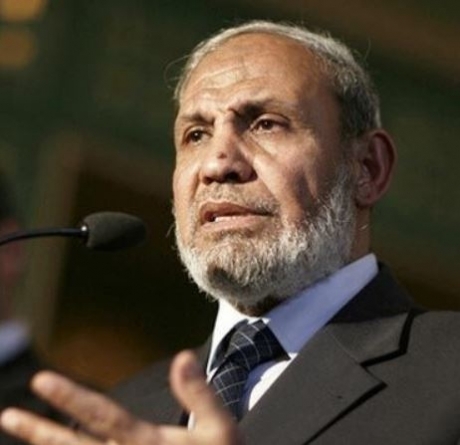 Palestinian legislator, member of the Political Bureau of the Hamas movement, Dr. Mahmoud al-Zahar, stated that resistance is the only means to liberate Palestine, and that his movement will not allow anybody to jeopardize resistance. His statement came Thursday during a speech in front of more than a 1000 officers in Khan Younis, in the southern part of the Gaza Strip. The event was organized by the Ministry Of Interior in Gaza. Zahar said that the Palestinian Authority of Mahmoud Abbas in the West Bank “does not have the legitimacy to hold talks with Israel”, and that “should Abbas refuse to engage in talks, he will be accused to sabotaging the political process”. 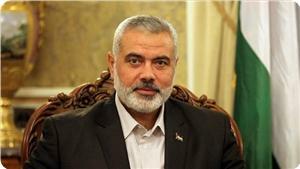 The Hamas leader added that only resistance can liberate Palestine, and that the Hamas movement “fought, and won four wars with Israel in the last six years”. Commenting on the reconciliation file with the Fateh movement of President Abbas, Zahar said that reconciliation cannot be achieved without forming an interim unity government, organizing new legislative and presidential election, and holding election for the National Council. He added that Hamas would win the national council election should the Palestinians in exile be allowed to practice their right to vote. Tayma, 13, an aspiring Palestinian hip-hop artist, shares her experiences of growing up with settler harassment and intimidation in the East Jerusalem neighborhood of Silwan through her lyrics. "We had a childhood just like everyone else, but it wasn't a normal childhood," says 13-year-old Tayma. "Everywhere we turn, the settlers are around us ... They came to our land, stole our land, and are saying that it's theirs." Tayma lives in the Palestinian neighborhood of Silwan on the outskirts of Jerusalem's Old City. Israeli authorities issued many of the Palestinian families living in Silwan with demolition orders for their homes to clear the area for a national park. Israeli authorities also approved a large tourism center in the heart of the neighborhood, which will include parking, an event hall, a cafeteria, and stores. They've handed development of the area to Elad, an Israeli settlement organization. "All the houses here are under threat of demolition [by Israel] so that the settlers can build a park for their children," says Tayma. "They want to throw Palestinian families on the streets so that they can build parks for their own children." Israeli settlers have moved into Silwan. With the aid of Israeli security forces, they subject the longtime Palestinian residents to daily violent harassment and intimidation. Tayma and her sibling must share the same steps with settlers to access their home. "Sometimes we rub each other the wrong way, which creates some bad situations between us," she says. "There are cameras everywhere that watch the kids as they go up and down the steps." "My dream is like the dream of any Palestinian kid," says Tayma. "It is to live in safety and not in the shadow of colonization, and not to feel crushed every time I leave the house. And my other dream is to become a famous Palestinian rapper." Find out more about Tayma's story in this short film produced by Defence for Children International Palestine. Palestinian passports have been ranked fifth worst in the world in terms of visa restrictions to access other countries, a report published by a global consulting firm says. Henley & Partners analyzed visa regulations around the world and published a comprehensive list detailing the restrictions a holder of each passport faces. Afghanistan came at the bottom of the list, with citizens able to enter only 28 countries without a visa, the report said. The UK, Finland, and Sweden ranked jointly at the top, with passport holders able to visit 173 countries without applying for a visa. Palestine came fifth from the bottom, with passport holders able to access 36 countries without a visa, ahead of Pakistan, Somalia, Iraq and Afghanistan. Seven Arab or Islamic countries were ranked in the bottom 10 countries for freedom of international travel. Palestinian-American comedian Amer Zahr responded to the news on Twitter: "Today I heard the Palestinian passport is the 5th-worst to have in the entire world. I was shocked! We have passports?!?" The Palestinian government in Gaza accused the Egyptian authorities and the Palestinian Authority in the West Bank of preventing dozens of Palestinian pilgrims from the Gaza Strip from traveling to perform the Hajj. The Palestinian crossings authority in Gaza announced on Wednesday that the Egyptian authorities had prevented 33 pilgrims from travelling to perform pilgrimage for security reasons. After some time the authorities revealed that the problem has been resolved thanks to the intervention of mediations. 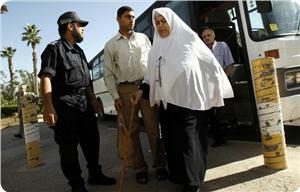 The first batch of pilgrims left the Gaza Strip on Wednesday morning heading for the Hejaz through the Rafah crossing. Director of borders and crossings in Gaza Maher Abu Sabha announced on Thursday morning that the Egyptian authorities informed them that 17 Gazan pilgrims have been barred from crossing into the Egyptian side without clarifying the reason. He said in a written statement: "The Minister of Endowment in Ramallah Mahmoud Habash has not committed to his promise as he sent 38 passports while held nearly 60 others. 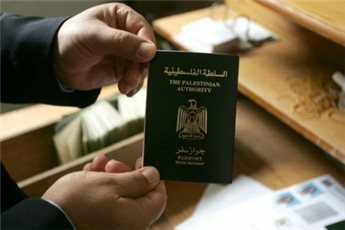 The Egyptian side then handed us 17 passports of pilgrims prevented from travelling"
Earlier, a leaked document has revealed that the PA's intelligence service asked the Egyptian security services to prevent 93 pilgrims from the Gaza Strip from crossing the Rafah crossing under the pretext of their affiliation with Hamas and the Palestinian resistance. The body of a two-year-old girl was found Wednesday in a cemetery in Khan Younis in southern Gaza. 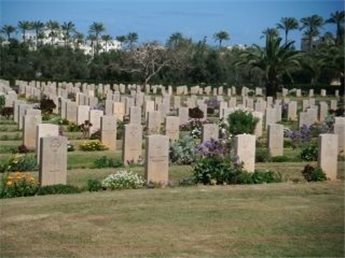 The chief prosecutor of Khan Younis, Nihad al-Ramlawi, said that the body had been buried in the cemetery and was found on Wednesday. Al-Ramlawi noted that the public prosecutor had begun an investigation in order to determine the circumstances of the child’s death. Al-Ramlawi said witness had seen a woman and a man sneaking into the cemetery in the Maen area of Khan Younis while carrying the body of a young child. According to the witness' statements to the public prosecutor, the couple escaped after burying the child. Senior Hamas official Salah Al-Bardawil said that the Palestinian reconciliation meetings are currently frozen as a result of Egypt's preoccupation with its internal events, and the Palestinian authority's lack of will to end the division and its submissiveness to the Zio-American positions. "The Palestinian reconciliation is frozen not only because of the Egyptian preoccupation, but also because the Palestinian authority has no national will to execute what has been agreed upon in the reconciliation talks," Bardawil stated on Monday. Bardawil also ruled out that the Palestinian reconciliation can be achieved at the expense of the national rights and constants. "It is not possible to achieve the reconciliation at the expense of the rights and constants; in other words, the Palestinian constants are the common denominator in the reconciliation," the Hamas official underlined. "The Palestinian authority's engagement in prospectless negotiations while there are ongoing settlement expansion, dangers threatening the Aqsa Mosque, no right to return or to Jerusalem and persistent blockade on the Gaza Strip is not only detrimental to the Palestinian cause and poses a threat to it, but also isolates the negotiating team from the Palestinian people and Fatah faction itself and unites the Palestinian people in upholding the rights, the constants and the resistance option," he added. The Palestinian Authority won't allow an intifada against Israel in the West Bank, Palestinian security sources in Ramallah said on Sunday. The sources told the London- based Asharq Alawsat newspaper that the West Bank "won't be the scene of chaos to serve any private agendas." The sources emphasized that despite calls by Hamas and Islamic Jihad, "there is no orientation toward a new intifada in the West Bank." 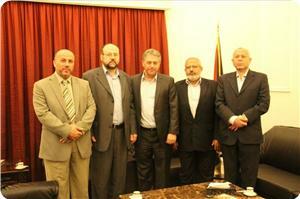 The paper said that the PA and Fatah view the calls by the two groups "with mistrust and suspicion." 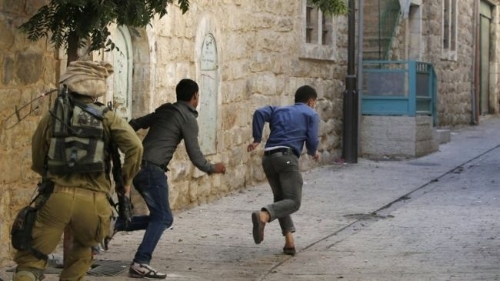 According to the report, the calls by Hamas and Islamic Jihad last weekend for launching a third intifada have fallen on deaf ears in spite of a number of violent incidents that took place in east Jerusalem and some parts of the West Bank. Hamas opponents have accused the movement of seeking to ignite a third intifada as a way of ridding itself from its crisis in the aftermath of the downfall of the Muslim Brotherhood regime in Egypt. They said that Hamas is seeking to embarrass the PA leadership in the West Bank by calling on Palestinians to initiate violent confrontations with Israel. The sources said that Hamas wants an intifada in the West Bank while it is preventing terror attacks against Israel from the Gaza Strip. "The Israelis are sitting in the surroundings of the Gaza Strip and if Hamas wants it could ignite an intifada there," the sources pointed out. Interim Palestinian Authority prime minister Rami Hamdallah will participate Sunday in the opening of the 2013 Palestinian Grape festival in Halhoul, a town just north of Hebron. The Festival committee announced that it had finished preparations for the festival which will last three days, beginning Sunday. Many different types of grapes will be displayed during the festival as well as the products of women's collective organizations such as embroideries, handicrafts and food. The Festival will also include popular and folkloric dances as well as other kinds of cultural performances. Hebron is famous for its grapes, and each year following the August harvest a large Grape Festival takes place in the area. Right Livelihood Award Foundation ( RLAF) announced on Thursday RAJI SOURANI, human rights lawyer based in Gaza, one of the laureates of the 2013 Right Livelihood Award. The RLAF awarded RAJI SOURANI for his unwavering dedication to the rule of law and hum-an rights under exceptionally difficult circumstances. It is the first time that a Right Livelihood Award goes to a Palestinian. 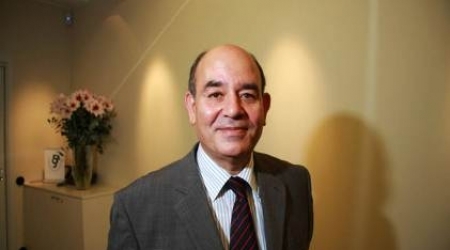 Sourani established the Palestinian Centre for Human Rights( PCHR) to document and investigate human rights violations committed in the Occupied Territories, and has defended countless victims before Israeli courts. Palestinian Prime Minister , Ismail Haniyeh congratulated the Palestinian SOURANI for this great achievement , " this award recognized Sourani’s dedicated work towards justice for victims of human rights violations," PM Ismail Haniyeh stated. Sourani has been imprisoned on six separate occasions by both Israel and the Palestinian Authority. The Award will be presented at a ceremony in the Swedish Parliament on 2 December 2013 hosted by the Society for the Right Livelihood Award in the Swedish Parliament.